Nobody likes to be stressed out with money but often times in our life we go through stages where money gets tight, we lose the job, change our family status or some other tragedy may make it impossible or very difficult to make your mortgage payment. Here are different ways that you can deal with the mortgage payment if you're struggling each month. The first thing to note is that your mortgage is probably one of the most important payments that you can make. Credit card companies have high turnover and the person on the other end of the phone probably doesn't care if you can make the payment or not. Shelter, food, certain utilities and clothing are the most important items that you need to survive. These are the items that have to come first. If you cannot make a credit card payment in order to buy food that is what you must do. Do not put credit card statement ahead of food and shelter for your family. The people behind your loan don't want you to neglect making that payment either. They don't want to have to go through all the hassle of foreclosure, short selling a home or evicting anyone. They want to keep you in your home just as much is you do. The very first thing you need to do is to contact your mortgage lender and tell them that you are in a financial crisis. We all go through hardships in our life so make sure you tell them exactly what's happening, be honest about your situation and that you'd like to stay in your home or consider other options that might be available to you. Speak to your lender about different options that may be immediately available such as a temporary relief to your monthly mortgage payments. At your request they may grant you a short period of time in order to get your finances in order. This is usually not any longer than three months. However, at the end of this temporary relief. You'll need to be current so you might be able to skip a month or two but you'll need to pay back all three months at the end of that term. 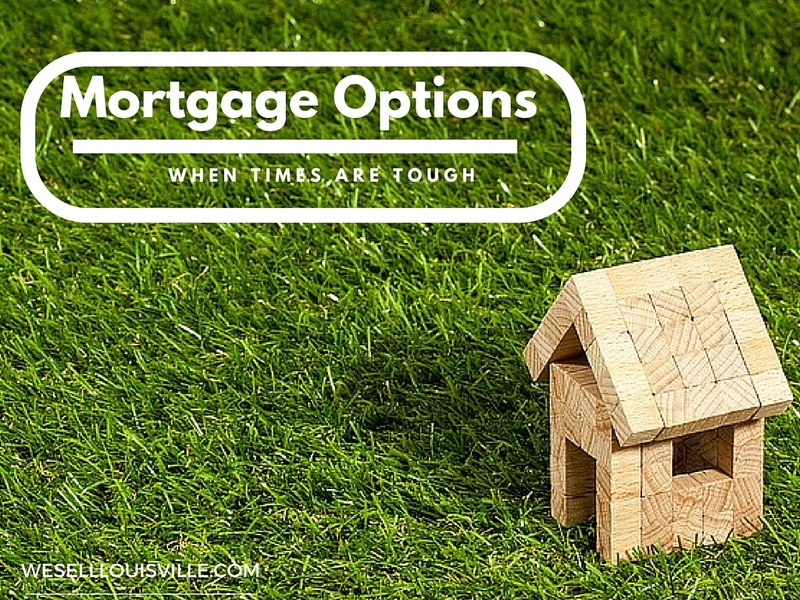 Mortgage modification must be dealt with through a housing counselor or mortgage mediation attorney but it is something that can relieve the stress and anxiety of a high mortgage payment. This can only be negotiated through one of these two mediators so you'll need to contact one immediately about the different options that you have. Mediators can sit down with your lender and devise a new plan that may offer a different repayment option, a lower monthly payment and could alleviate several months of non-payments. This option suspends or reduces the monthly mortgage payment for a period of up to 18 months from the due date of the first unpaid monthly installment, which means that you may need to stop paying your mortgage but make sure that you do so with the advice of a housing counselor or modification attorney. Regular payments must be resumed at the end of this. And a comprehensive plan must be agreed upon for the repayment of the amount that has been suspended. If you currently owe more on your home that it is worth and you're looking to move on, a short sale may be your best option. You'll need to contact one of our short sale agents to discuss how to get the process started. The lender will get all the remaining sale proceeds but your home will sell for less than what you owe. However, the lender may ask for you to pay a portion of the mortgage shortfall depending on what is negotiable. Be sure to talk to one of our Louisville short sale agents for details on this option. This option requires you to deed your property to the lender instead of foreclosure proceedings. This arrangement is an acceptable and customary procedure if the borrower is deceased or the estate is willing to be able to transfer the property or the borough has filed a Chapter 7 bankruptcy. This is a unique situation so be sure to check with your lender on options or a housing counselor or real estate attorney. Bankruptcy really should be your final and last ditch effort. This goes on your record for seven full years and can be a nightmare to get out of order to apply for any loans in the future but I can offer relief from looming loans and mortgages. Make sure you speak with a bankruptcy attorney before making any final and quick decisions. A foreclosure will sell your property at an auction but this usually means that you have not communicated with your lender about your needs, hardships and concerns. This really is the last option for lenders if the borrower has not done anything on their part to rectify the situation. Try not to let it get to the situation. Lenders are usually willing to help and modify with the help of a real estate attorney or counselor if necessary. If you have more questions on this situation please contact us today for more options, details and different proceedings that will need to take place. Would love to help you keep your home but that's not an option there are other choices.